We all enjoy engaging in fun summer activities, and seniors are no exception. Of course, heading outdoors with a parent who may require special food or medicines takes a little planning. Below, we’ve outlined five activities the whole family can enjoy together as well as a few questions to ask yourself when preparing to take your parent out. Walking is a wonderful way to engage the senses, whether listening to early morning birdcalls, taking in the sights of a farmer’s market, or savoring the cool air inside the mall. It also provides great exercise for all fitness levels since distance and pace can easily be adjusted—just make sure Grandma or Grandpa has sturdy footwear to stay safe and comfortable. 2. Plan a fishing trip. With peak time in the quiet, early morning hours, fishing offers a peaceful way to enjoy the outdoors. It can also instill a sense of accomplishment for a senior citizen to reel in a catch. Enjoying a meal al fresco is a pleasure on its own, but packing a kite or bocce set adds another element of fun. If your loved one has a condition that requires they stay close to home, you can always hold the picnic in your own backyard. 4. See a movie with the grandkids. When summer’s heat is at its peak, seek refuge in the air conditioning of your local movie theatre. Select a family-friendly flick that all generations can enjoy. Afterward, go for ice cream or another treat and invite your children and parent to recount their favorite movie moments. 5. Catch a baseball game. From the crack of the bat to the aroma of popcorn, a baseball game brings many nostalgic sounds, smells, and sights. It also provides built-in comforts, such as seating and bathroom access. Don’t feel limited to professional league games: grandparents will relish the opportunity to root on their grandkids during a game of softball. 1. Do I need to pack food? If your parent follows a special diet or has difficulty chewing, make sure appropriate food will be available. If not, prepare and pack your own—cut up fruits make a tasty and healthy snack. 2. Will we have easy access to a bathroom? If you’re planning a day of fishing, keep in mind that long hours on a boat may not be advisable. Plan for breaks, or try fishing from the shoreline. Just be mindful to avoid uneven terrain along the water’s edge to prevent falls. 3. What’s the weather forecast? On a hot sunny day, lightweight, loose-fitting clothing provides most comfort to a senior, who may have a condition that affects his or her body’s internal temperature regulation. You should also make sure to pack a hat, sunglasses, sunscreen, and plenty of water. Have a plan in case of rain. 4. Do the day’s plans require extended periods of standing? Planning to attend the Independence Day parade? In the heat and crowds, seniors are more susceptible to fatigue. Bring folding chairs and arrive early to stake out a place. 5. Will I need to help my parent take his or her medicine? Know your parent’s medication schedule and pack medicines in a cool, dry place. Set an alarm on your phone to remind you when it’s time to give them. BrightStar Care of Cincinnati proudly provides senior care and child care, including 24 hour skilled nursing and support in senior independent and assisted living communities. 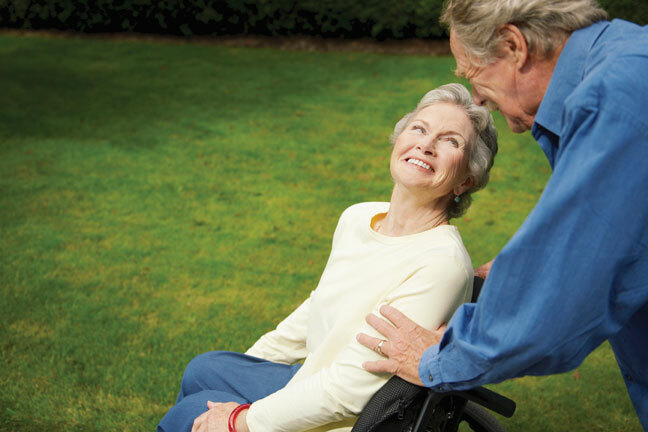 Additionally we provide Medical Staffing and In-Home Physical Therapy for pediatric, adult and geriatric patients, Companion and Personal Care for Seniors with Alzheimer’s or Dementia. We also provide Home Child Care, Sitter and Nanny services for Children and Support for New Mothers. We Support Veterans and Accept most Long Term Care Insurance benefits, Medicaid, provide Hospice care, Live-in care, CNA, Caregiver, RN, LVN, RN Supervision, Compassionate Care, and Compatibility Guarantees. Other services include safe discharge and transportation from the hospital or rehab facility, Post Op care both short and long term, Pre Operation and preparation help and assistance, and client monitoring for out of town family members. Our service area includes South Eastern Hamilton County and North Western Clermont County in the Greater Cincinnati area, including Camp Dennison, Loveland, Milford, Terrace Park, Mariemont, Turpin Hills, Sherwood Village, Forestville, Newton, Summerside Estates, Fairfax, Mulberry, Mount Repose, Madeira, Norwood and Cincinnati.